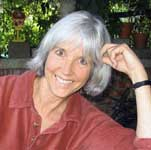 Jeanne DuPrau lives in Menlo Park, California, and drives a hybrid car. She loves to read and work in her garden. Learn more at Jeanne DuPrau’s website. CLICK HERE FOR MORE BOOKS BY JEANNE DUPRAU. Ember — (2003-2008) Ages 9-12. This series is finished and has been made into a movie. 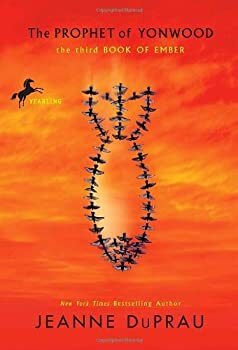 Publisher: The city of Ember was built as a last refuge for the human race. Two hundred years later, the great lamps that light the city are beginning to flicker. When Lina finds part of an ancient message, she’s sure it holds a secret that will save the city. She and her friend Doon must decipher the message before the lights go out on Ember forever! This stunning debut novel offers refreshingly clear writing and fascinating, original characters. Long ago, the Builders created Ember, an underground city. 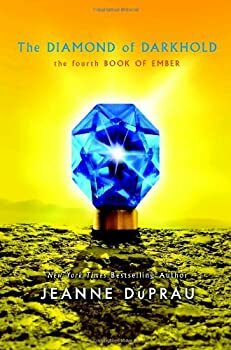 The Builders only intended for the people of Ember to stay underground for two hundred years, but, due to a slight wrinkle in the Builders’ plans, the people of Ember have stayed underground far longer than two hundred years. Now, supplies are running out. In fact, there soon won’t even be light bulbs left, and the people will be left in darkness. Lina and Doon have led their people out from the subterranean city of Ember. Now, they encounter a world full of dazzling new things like birds, sunlight, and trees. For all its wonder, Lina and Doon have not entered a world of plenty. The humans before largely destroyed the world with their weapons and their insatiable need for revenge. Doon and Lina lead the wandering Emberites in search of a new home. Nickie is eleven years old when her aunt Crystal takes her to Yonwood, North Carolina. Their family has inherited a mansion, Greenhaven, from Nickie’s great-grandfather, and while Nickie loves the old building, Crystal is determined to sell it and get back to Philadelphia as soon as possible. When the Roamer, Maggs, drives her carriage into the small town of Sparks, she finds a desperate people with nothing to trade. 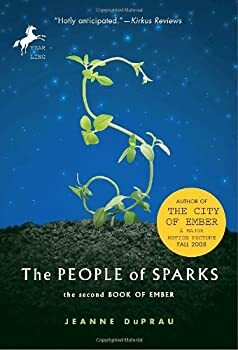 Sparks used to be reasonably flush for a post-apocalyptic society, but absorbing the refugees from Ember just before winter has used up almost all of its resources. People aren’t starving, but they might be soon. Maggs is about to leave when Doon and Lina spot an old book in her carriage. Doon wants the book, but Maggs has been using the book as fuel for her fires, so she insists that Lina pay at least one match for it.